To perhaps provide some inspiration, I've created a gift guide that might trigger some last minute inspiration before you head out to the shops later today or tomorrow – if you’ve been brave enough to leave it until the last day. I managed to get together five great gifts to show you guys that would all make great gifts, but also act as inspiration for others. shaver madeentirely out of metal and takes double edge razors, perfect for a close shave for those dads in need of a much-needed shave. Haven’t you heard, the beard is apparently dead? What makes this a great gift is the fact you can personalise it, meaning you can get their initials engraved onto the handle. The set also comes provided with a 30ml bottle of shaving oil and exfoliating shaving flannel. So yes, shaving bits and pieces are a good gift as you know they’ll be used and there are plenty of options to go for. If you’re looking for something a little smaller, possibly buy a nice smelling beard oil. If you think your dad doesn’t need a shaver, then you could always buy him a new fragrance? There are plenty of offers out there at the minute, but one tip I would give is, like this Ted Baker set, if you can find loads of little ones together it will mean they’ll get to try plenty of different fragrances. Some dads may swear by a particular set of fragrances already and if your dad is one of them then maybe a couple of handy body and skincare products could be a better idea. This Scaramouche and Fandango travel pack is something I think makes an ideal gift. Plus because there ‘travel sizes’ they are perfect for when your parents leave you to go on holiday just the two of them (no jealously there whatsoever). This travel pack contains everything: shampoo, body wash, shave cream and hydrator in handy 50ml bottles. 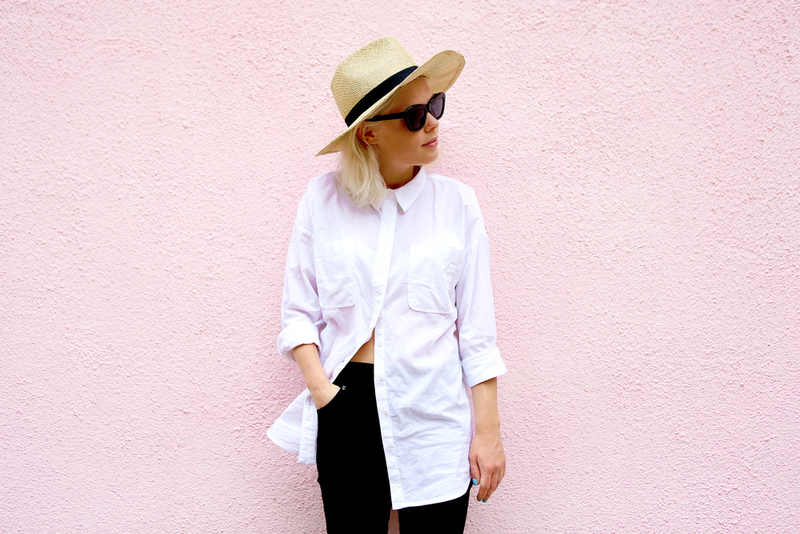 Scaramouche and Fandango are a British brand so why not give them a try? Alternatively, there are other skincare gift sets out there, but be prepared to pay over the odds in some cases. I’m working with Primark MAN at the minute and when I was talking about what to get my dad they suggested these two gifts from their Farrell collection. Farrell is Robbie Williams brand (the man your mum probably likes) and they’ve created not only a clothing range, but gifts like this watch (£16) and cardholder (£6). Made from real leather these gifts are real value. So yes, watches, cardholders and maybe even a new watch are all good options. And if all of the above ideas aren’t quite what you’re looking for then yes, go for socks. Dads love socks. Socks for Christmas, socks for their birthdays and now socks for Father’s Day. Don’t get them any old pair of socks though, try and find something different. One company certainly doing that is London Sock Company, with their high quality that use the best cotton. 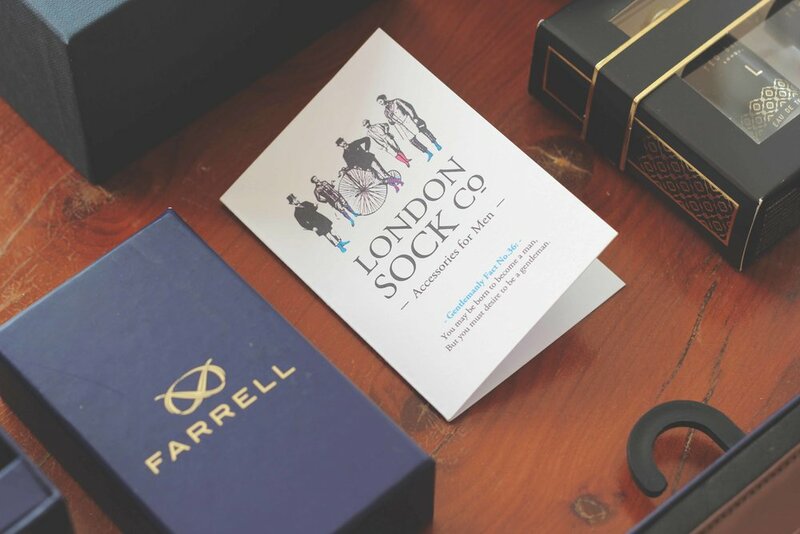 Single pairs or gift sets there’s plenty to choose from with London Sock Co.